In NYC the season changes from spring, to sweltering hot and humid. There isn't much of a ramp up to summer; damp and unbearably hot seems to happen overnight. I like to drink hot tea year round, even on the hottest days but when that humidity gets unbearable, only a cold tea will do. I like to cold brew most of my teas. It's super easy to do and imparts a very smooth flavor. Jee of Oh How Civilized recently published a great how-to on cold brew, check it out here if you need a tutorial. 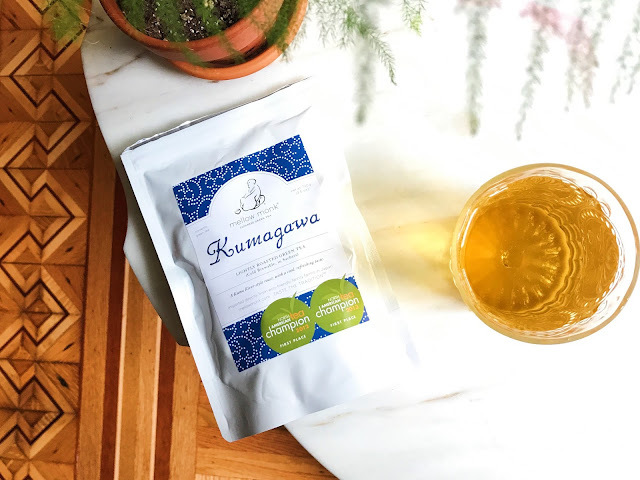 When I was recently given the choice of samples to review from Mellow Monk tea, Kumagawa caught my eye. 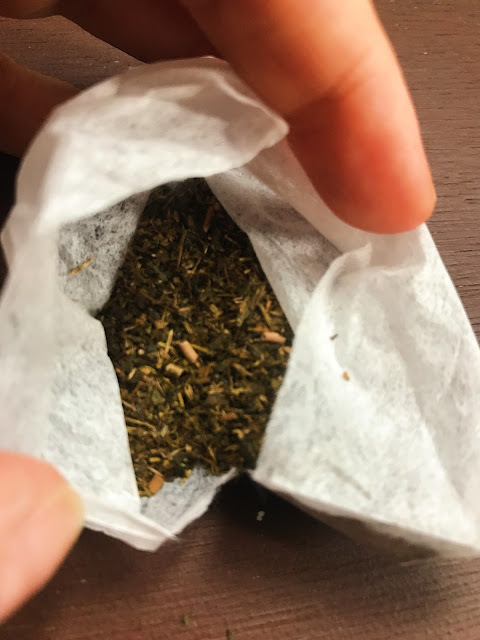 This lightly roasted green tea comes in cold-brewable sachets, made for the fridge. I don't normally go for bagged teas but I love cold-brewed hojicha and Paul from Mellow Monk said it was a bit lighter than hojicha, but very refreshing. How could I say no to that? I added 3 sachets for a 2 quart pitcher. This is a little more than suggested but I like my iced tea super strong. 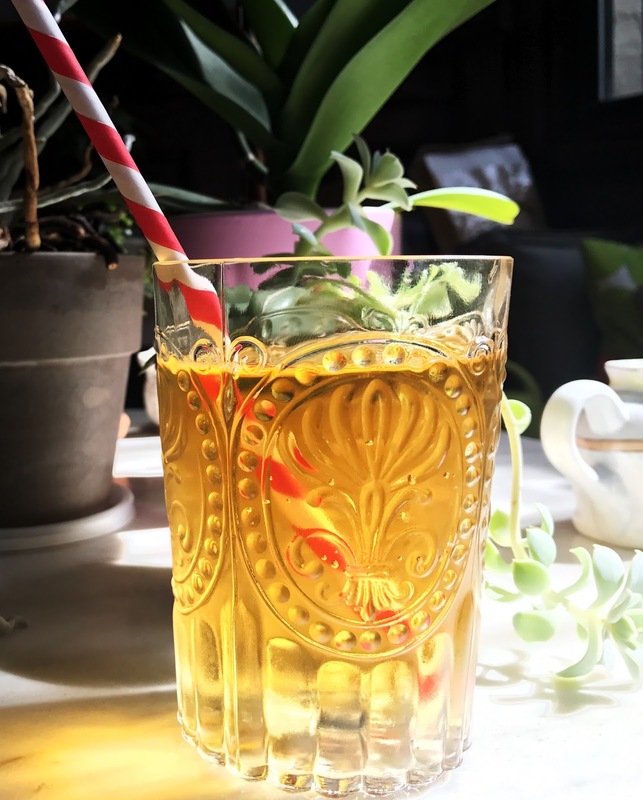 I popped it in the fridge for about 5-6 hours, and ended up with an extremely refreshing tea. I accidentally left the bags in the pitcher overnight and it was just as good after about 9 more hours of steeping. The brew never got bitter or overpowering. It's nutty, slightly grassy, has a little hint of what I imagine is 'hickory' and smoke, and is extremely refreshing. My family and I have been drinking this tea all week, and I took it on a walk through the park on a typical disgustingly hot, soupy day. It takes a powerful tea to cut through the NYC haze, and this one did the trick. This tea is light enough to reach for throughout the day. I don't think I'd start my day with it as I like something with a bit more body and heft, but this is a great choice for mid-morning, through to the evening. It can also be brewed hot, which I haven't tried yet since I love it so much out of the fridge. To learn more about this tea you can visit the Mellow Monk website here. Thank you to Paul for the sample! I have a few more to review, can't wait to try them. I covered this tea! I was surprised how well it did!